How will I know when my file has completed processing? When your file has completed NCOA processing, you will be notified two different ways - through a in-app notification and through an email. At the top of your file page, a notification stating that your file has completed will appear. 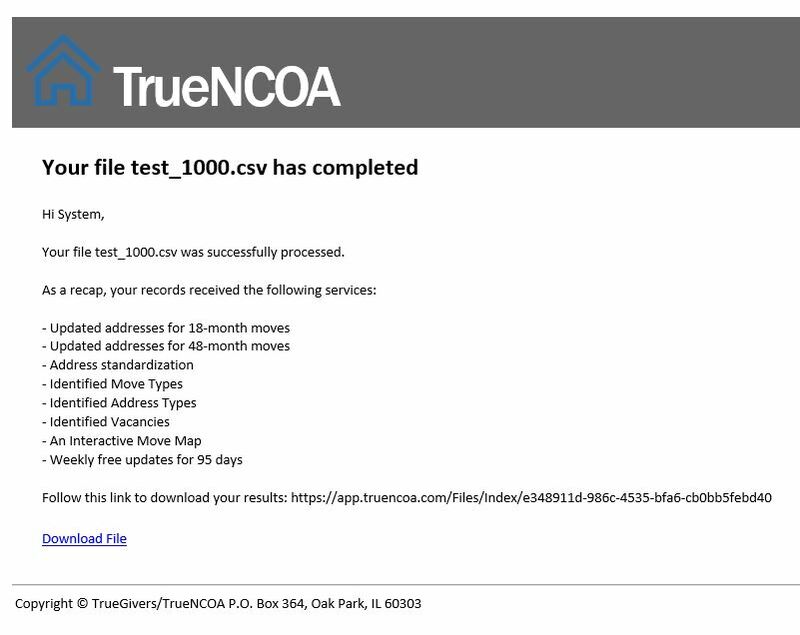 In addition, you will receive an email from TrueNCOA notifying you that your file has completed.